to the localities in this area! For instance, today's Zemaciu Namiestis was known as Aleksandrovo in the past. There's another Tatarka in Belarus, near Minsk. There's another Aleksandrovo near Minsk. and only part of the central section of the map is included. 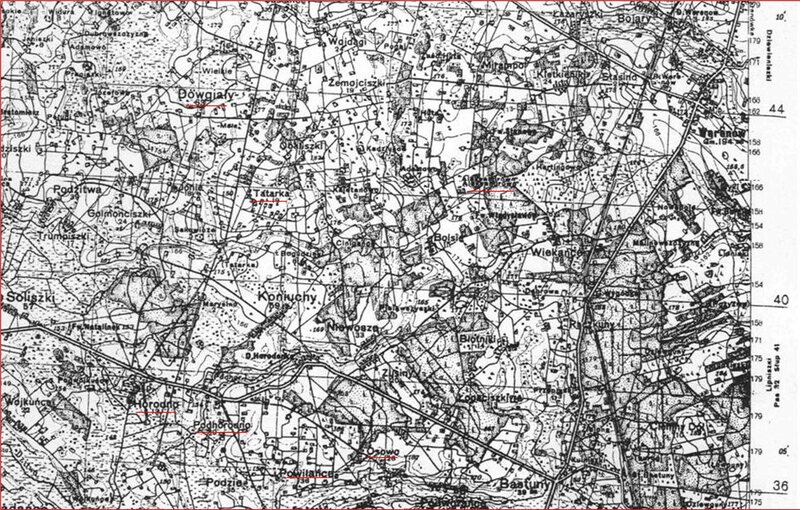 For orientation on modern maps, the village of Bastuny, at the lower right of this map, is on modern maps. You might have to copy the map and paste it into a viewer so you can blow up the image to read it.